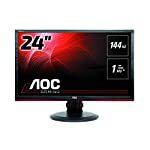 The XL2430T gaming monitor is another addition to the BenQ stable of gamer friendly screens. With a 144hz refresh rate and super fast 1ms response time this is a gamer friendly piece of kit, although do note that it is missing an adaptive sync solution. But that aside, the XL2430T offers a 24″ full HD viewing experience at 144 frames per second, assuming you have a graphics card that can keep up. You’ll need something along the lines of a modern Nvidia GTX970 or preferably a GTX980 to get up to those frame rates consistently at the all important ultra graphical settings. The 24″ monitor size is still very popular for good reason. Sure you can go bigger but do you really need all that extra space when you’re sat a few inches from the screen. Actually, some people find huge screens somewhat overwhelming, you just can’t take it all in. Full HD is also very popular with gamers right now. Whilst some are moving towards QHD and even 4K most of us aren’t prepared to pay the premium for what isn’t really a life changing upgrade (don’t get me wrong, high res looks great, but if you are on a budget…). The BenQ, as usual, is excellently put together. The black finish looks smart and we’re even treated to a small splash of red around the cable hole – no gaming monitor is complete without a touch of red colouring! You also get a metal carry handle, helpful for carting round a mates house if you are so inclined, and there’s even a place to hang your headphones. The stand is solid and fully adjustable, you get height, tilt and swivel, not to mention portrait mode too. Connectivity is everything you could possibly want from a monitor, you have modern DisplayPort and HDMI connectors and for those that really need it, there’s even a VGA port! Plus there’s USB 3.0 and a headphone jack to ensure you’re fully wired up. The BenQ has a few tricks up its sleave to ensure an appeal to gamers. 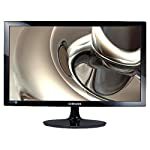 For instance the monitor incorporates motion blur reduction technology. This works by inserting a black frame between every normal frame to improve the sharpness of the image but be warned, switching this on does reduce the screen brightness. Some people report that this makes a screen flickery but most will not have an issue. Viewing angles are typical for a TN screen, by which we mean – they aren’t great. But on the plus side the colour accuracy is reported as being good for this type. We give the BenQ XL2430T a 4.5 out of 5 rating. Want to know what existing owners of the monitor think? You can read real user reviews here. 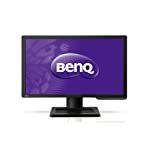 Should I buy the BenQ XL2430T? The BenQ XL2430T is one of the better game monitors out there with a great build quality, accurate colours and a very fast response time, it doesn't feature adaptive sync technology so if you are looking for the best you might want to consider a model that includes G-Sync or FreeSync. If you are having some doubts about this purchase then why not read some real owner reviews and see what other buyers think. Welcome to the BenQ XL2430T FAQ. This section attempts to answer common questions you may have, please get in touch if you have any more queries or if you think our answers need updating. Is this just for gaming? TN based panels aren’t always great for colour accuracy but the XL2430T is one of the better models so you should find this a good all rounder. 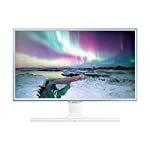 If graphical work is your priority then an IPS based monitor could be worth consideration. 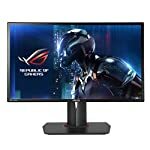 Can I run the monitor at 60hz? It can run at 60hz, 120hz or 144hz. You should try to match the refresh rate to the capabilities of your graphics card, you may see detrimental affects if your card cannot output frames fast enough.